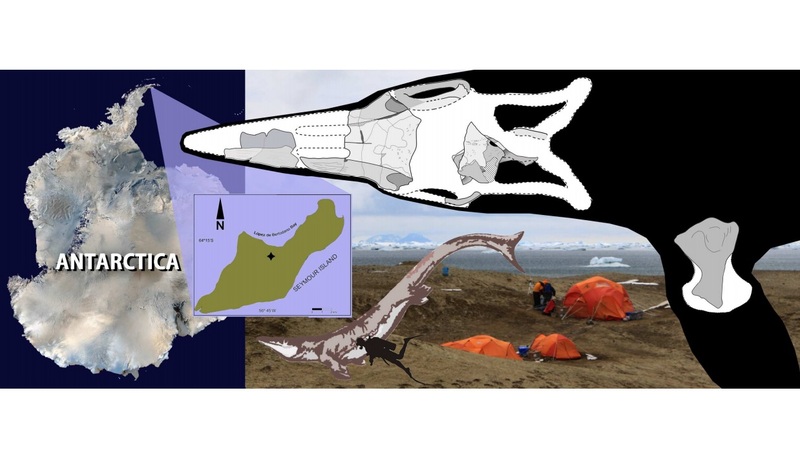 Kaikaifilu is a new species of giant sea lizard (from the Mosasaur family) discovered in 66-million-year-old rocks of Antarctica. 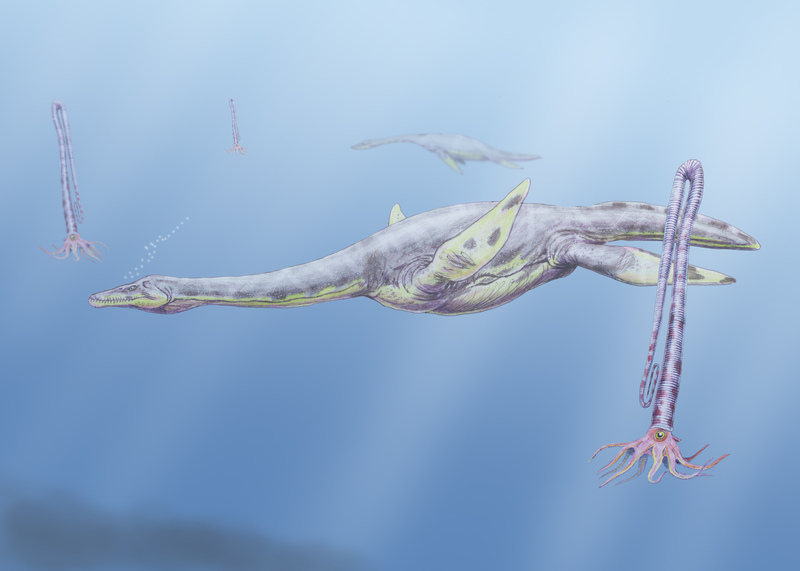 At about 10 meters long, it is the largest known top marine predator from this continent. 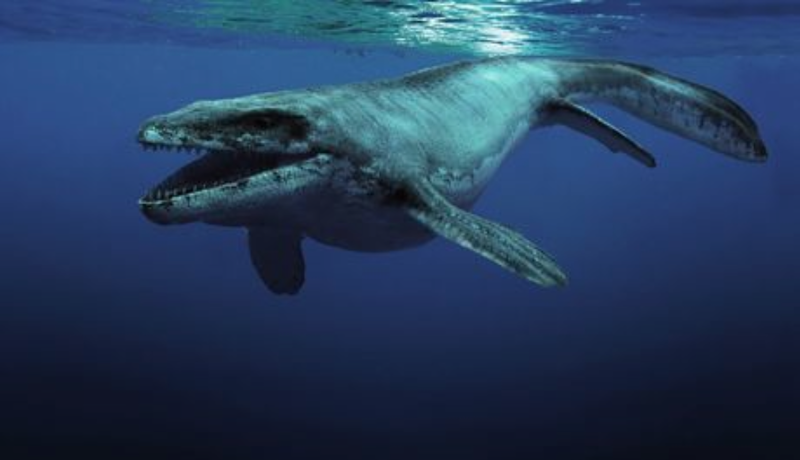 It lived near the end of the dinosaur age, when Antarctica was a much warmer ecosystem, and fed on filter-feeding marine reptiles. 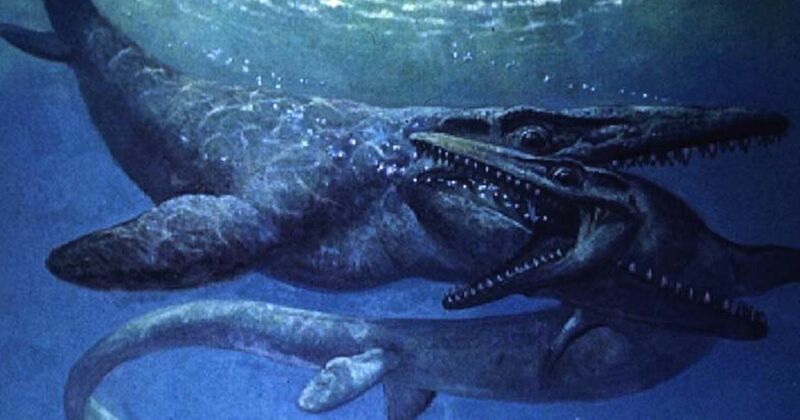 Mosasaurs were not dinosaurs, but close relatives of modern-day lizards, that thrived in the seas during the Cretaceous period of the dinosaur age. 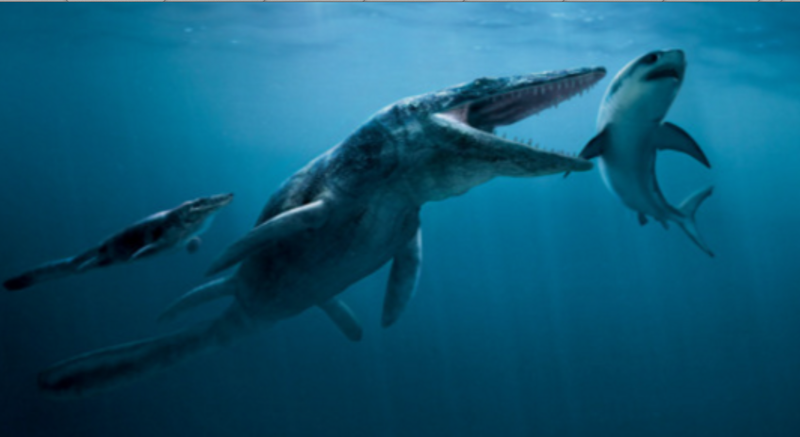 Unlike modern lizards, however, mosasaurs evolved paddle-like limbs, and a long, deep tail for swimming. 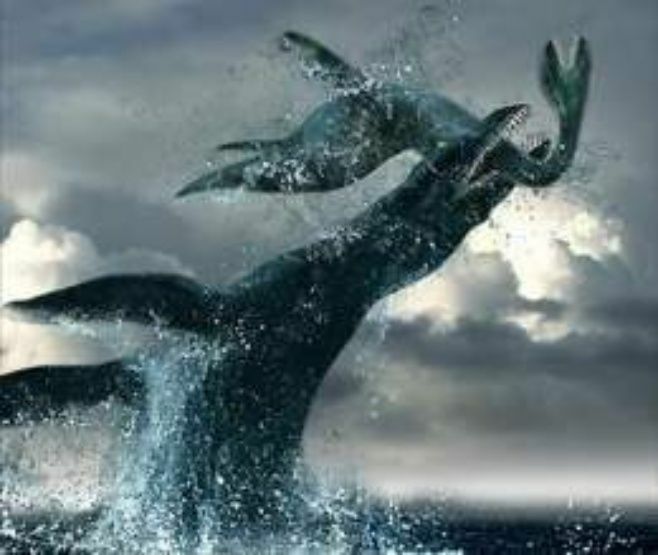 Some of them were top predators that attained truly gigantic size, like the fearsome Tylosaurus. The scientists called it Kaikaifilu hervei after the cosmology of the Mapuche, the native people from southern Chile and Argentina. Kai-Kai filú is the almighty giant reptile owner of the seas, rival of Treng-Treng filú, the land reptile, both creators of the lands through their continuous fight that causes the earthquakes, volcanoes, tsunamis and all the events that shaped the earth where we live. 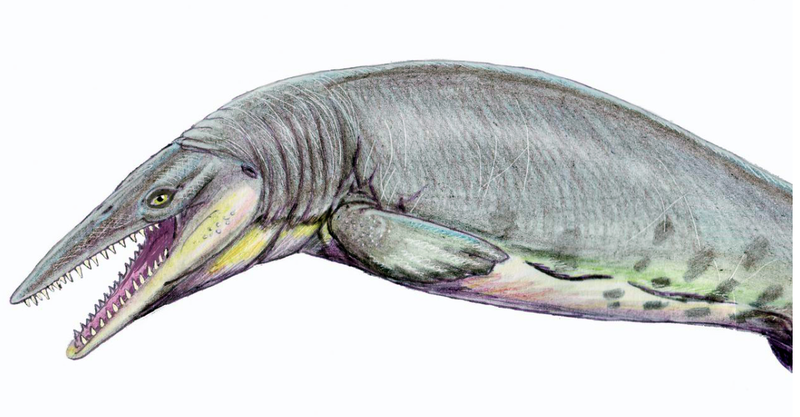 The species name hervei is after Dr. Francisco Hervé, a world-renowned Chilean geologist and pioneer earth-science Antarctic explorer. 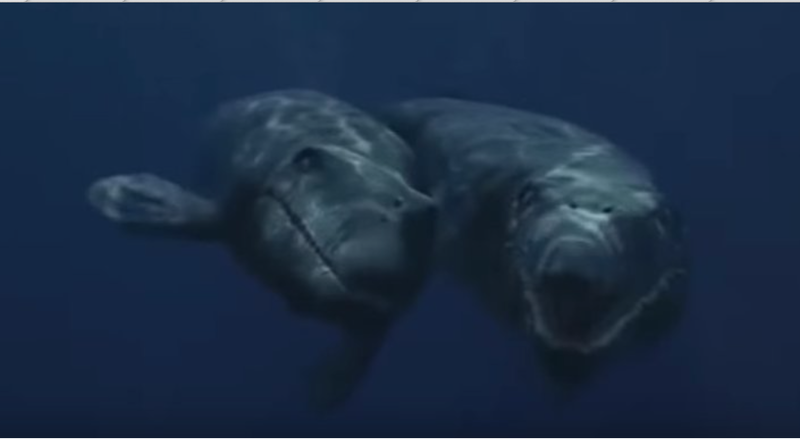 This entry was posted in Uncategorized and tagged environment, Nature, Science, Video. Bookmark the permalink.